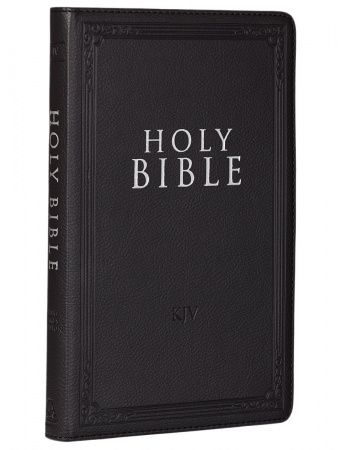 This Thinline Black Flexcover Edition of the King James Bible is constructed with quality man-made material with the look and feel of real leather (trade name LuxLeather) and decorated with a debossed frame border and silver foil titling. Inside, you'll find a double-column format, a helpful Scripture verse finder by topic and a one-year Bible reading plan. 738 Pages.